A Little Time and a Keyboard: Tillamook Creamery: Learning About How Cheese Is Made ... and Trying Some, Of Course! 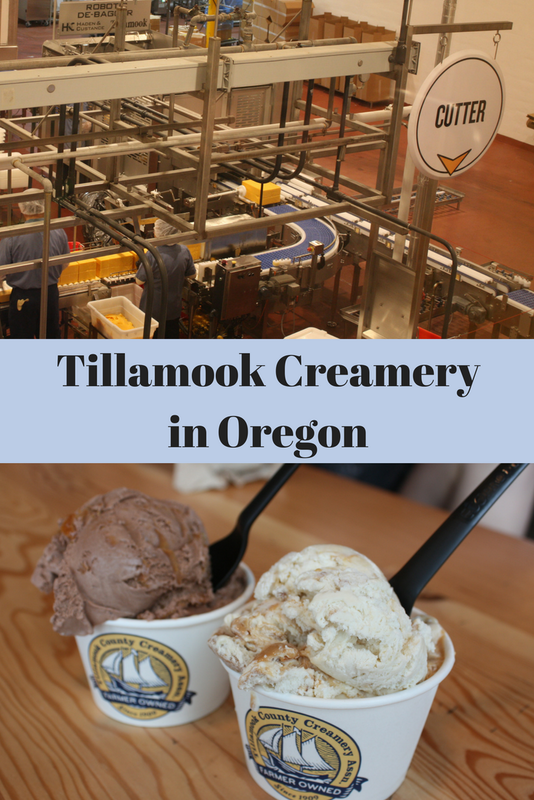 Tillamook Creamery: Learning About How Cheese Is Made ... and Trying Some, Of Course! Tillamook Creamery in Tillamook, Oregon is a very well-rounded family experience. During our visit to Oregon, we spent two days along the Oregon Coast and I knew that we had to check out Tillamook once. Well, we loved it so much that we went twice. The centerpiece of the creamery allows visitors to see cheese being made and parts of the production process you may not think about like cutting the blocks and making adjustments to create standard blocks. However, there is much more to experience at the creamery! Before learning about how cheese is made, though, visitors learn about the families of Tillamook. Yes, Tillamook is a farmer-owned co-op with many of the families farming for multiple generations with many in the Tillamook area. So, Tillamook is truly a family affair! Tillamook's history goes back to 1851 when the first settlers arrived. The region is cool, wet and rainy with plenty of water sources including rivers, bays and the Pacific Ocean. The green, green grass of the region is perfect for dairy cows! So, dairy farming is a natural fit for the region. In 1909, a group of creameries joined forces to form the Tillamook County Creamery Association and the rest is history. Exhibits also highlight dairy farms giving a bit of a taste of life on the farm. My husband was actually curious about where he could get his own brush like the cow brush. This section had plenty of hands-on exhibits to enhance learning for kids -- well, big kids too! The factory has numerous large windows allowing you to view production being done on the floor. Each section is accompanied by a description of the process you are viewing in the window. I found the descriptions highly informative and really shed light on steps in the cheese making process. In the large vats, milk is being turned into curds and whey. Tillamook also displayed one of the old cheese baths that they once used to make cheese. When I was younger, my grandparents took us to cheese factories in Wisconsin where we would see cheese being made in similar baths. Very cool! Tillamook used to use cheese baths like above in production. Of course, you do tend to get a little hungry watching cheese being made! Fortunately, Tillamook shares samples with visitors! We enjoyed several samples including one of their specialty cheeses. You can purchase Tillamook cheese, yogurt and more as well as made in Oregon products and other more general souvenirs in their store. Next time, I think we will be sure to have a mini-cooler with us so we can pick up some items for our vacation explorations! Tillmook has a full range of meal options including to full meals, snacks and baked goods. We returned later in the week after a hike at Cape Meares for dinner. My husband and I split a tomato soup and grilled cheese. The tomato soup had cheese curds on the bottom. Cheesy delight! My daughter went for the mac-and-cheese. Irresistible, right? We loved our adventure at Tillamook Creamery. The experience was a lot of fun and a great way to learn about cheese making and celebrate made in USA! I also love Tillamook's support of other locally made brands and I may or may not have enjoyed some Oregon wine there. The tour is free and Tillamook is a great place to stop for a snack or meal on your trip. 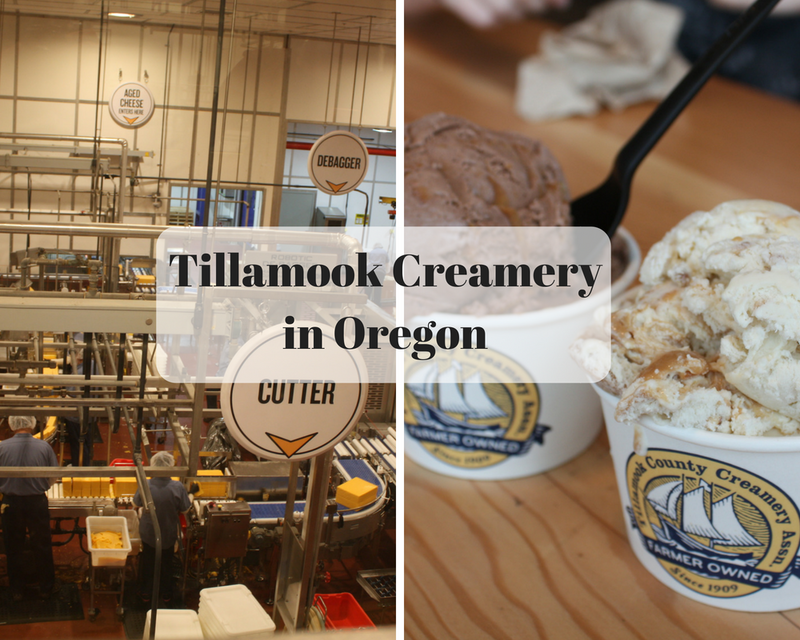 We definitely will visit Tillamook again on a future visit to the Oregon Coast! Every single aspect of this adventure seems awfully delicious! Yum,yum,yummy! Great photos and sharing of the experience.